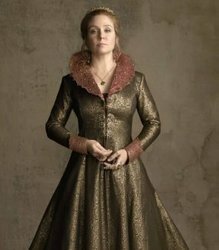 Megan Follows is a stage and film actress, director, and voice artist, born in Ontario Canada. She is internationally known for her roles as Anne Shirley in the Canadian television miniseries Anne of Green Gables and two of its sequels. She earned two Gemini awards for her performances in Anne of Green Gables (1985) and it's 1987 sequel Anne of Avonlea. Other starring roles include playing Lily Borden in the Canadian television series Heartland (2009, 2012, and 2017), as well as Catherine de' Medici in the CW television series Reign (2013-2017). She directed three episodes of Reign: Coup de Grace (2017), Love & Death (2017) and Bruises That Lie (2016). Additionally, in 2018 she directed two episodes on Murdoch Mysteries; episode 11 "Biffers and Blockers" and episode 12 "Mary Wept". Currently, she is starring in the hit SYFY series, Wynonna Earp, as Wynonna's mysterious birth mother, Michelle Earp.